It’s the happiest day of your life. You want every moment captured with the camera and you dream how everything will go perfectly! 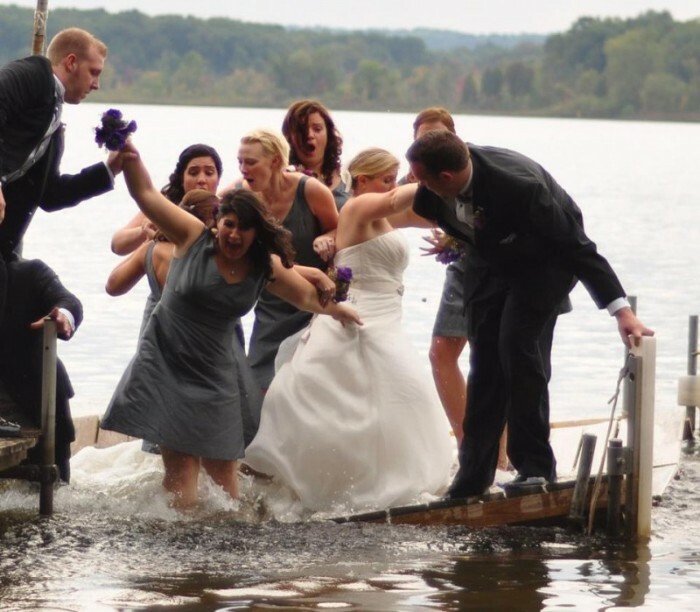 However, weddings don’t always go to plan. Here, we’ll take you through the 17 hilarious wedding photos that are beyond hilarious and in some cases, incredibly awkward. Having a wedding on an unstable walkway is never going to end well so in the future you might want to skip that verdant landscape with an ocean view and book a cheap church service instead!